We are very happy to announce that Any Of Both’s new studio album RECIPES is going to be released on May 16th! 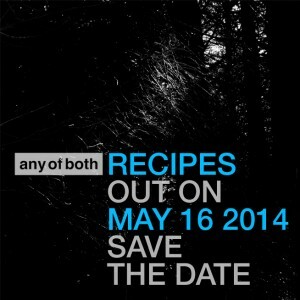 RECIPES will be available on Bandcamp and through other physical and digital retailers. Any Of Both – a Progressive-Indiepop band from Bonn, Dusseldorf and Essen. Their new studio album “Recipes” will be released in early 2014. We gave it a listen and, well – you better stay tuned – it’s brilliant!